BREAKING NEWS: Aeromexico cancels all Boeing 737 MAX orders. Airbus said that “it was certain” Aeromexico had picked all of the optional extras in the A320, including double coating. 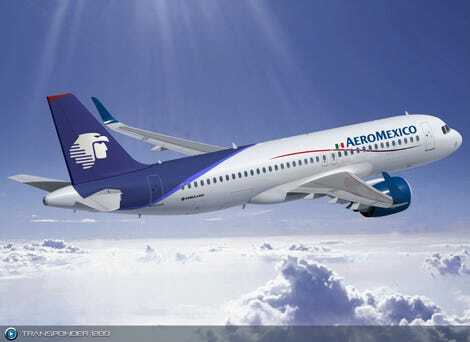 MEXICO CITY- (OPPO) The Delta-owned Mexican airline Aeromexico has chosen to back down their order of Boeing 737 MAX aircraft. Aeromexico claims that Boeing was being abusive by releasing to the FAA that some optional safety equippment is not equipped in their planes. Crucial equippment like parking cameras, cross bird traffic-alert, and a milk foamer for the coffee machine was not installed in their fleet of B737 MAX8s. Delta’s stockholders in Aeromexico say this was a “sentimental decision right out of a soap opera.” But they chose to let the airline operate at it’s leasure. As part of an ambitious restructuring, Aeromexico has ordered 110 A320 NEOs: They say that the milk foamer is included, as is a free A220. As for the current six MAX8 aircraft in Aeromexico’s fleet, they chose to sell them to the government for 5 pesos each. Saying that it would be beneficiary to the national security of the country. When asked about the lack of features, the President said that as part of his “fransiscan austerity” he would be willing to drink coffee without milk. Followers praised him for the decision. Also read: Aeromexico given 95% of landing slots at MMMX. Part of Aeromexico’s expansion includes daily flights from Cancun to Merida, San Diego to Tijuana, and Mexico City to Toluca. This strong lurch forward is worrying main competitor Interjet: who is facing union issues. After canceling hundreds of flights because of crew strikes, administrators at Interjet have comented “Its as if they want to be paid on time and not be forced to work overtime.” One thing is for sure: The competitivity of Mexican aviation will continue to surprise the world.